Many LIC agent software are available in the market as android based Smart Phones and Tabs are accessible to all at a reasonable cost. Let us have a review of Android LIC agent software available in the market. Many companies jumped into android software market and so many apps claiming about new features are available in Google Play store and other android markets. Some of these soft wares are free but some are available for a price and a subscription fee. OUR LIC has done a thorough review on almost all of them available in the market to find out the best app out of it. we also wanted to know weather the price of paid soft wares are justified by features available in them. Super Agent is an excellent android software which is feature rich, powerful and user friendly as well. This software has a good interface which is elegant to view also. Each of them is visually appealing and can be fully customised to include customer name etc. Sharing options are also available in plenty. This is the most important section for an Insurance Adviser and hence let us have a detailed look of this section. Plan presentations of all the plans of LIC is provided here. If you go for calculate premium you will be provided with a beautiful screen with the summary of the plan which can be shared by email or Whats App. Only disadvantage is that you cannot send it as ordinary text messages. If you go for the second option you will get a full fledged presentation with all the required details to win your customer. Click here to view a sample presentation created for New Jeevan Anand using Super Agent. Two minute videos provided by this software is also excellent. Posters, brochures and greeting provided with this software is fully customizable and will be handy to impress your customers. The software is paid software with an option to One Month free trial. Cost of the software is Rs 1000 per year. Overall the software provides a complete software feel but there are many features which has to be incorporated into the software like plan combinations, Client management, Policy update, Gyan section etc. The cost of the software can be fully justified only if the additional sections are also incorporated into it. The main Advantage of this software is the plan mixing and combination option available with it. On clicking the premium calculator option you can reach the plan section where you can enter the details for plan quotation. Two types of results can be obtained from here. 1. Normal Premium and maturity value calculator. A little more detailed version of premium calculator with normal and accident coverage, Returns, Surrender value and Loan value can be obtained here. Which also will be handy for an advisor. Plan mixing option provided in this software is a useful feature. You can add any number of plans together for any customer and obtain a single presentation for it. The created presentation can be a simple premium calculation or a detailed presentation at your will. Plan combination is also an excellent option for agents. Four combinations are provided in this software. Over all, LIC leader which is being free android software, have some powerful features useful to all but with some draw backs as well. When we go for combinations and plan mixing there is no way to understand the individual plans and the premium or the terms of it. If an agents copy page also was provided along with the presentation this could have solved. LIC calculator all in one is a no frills free software which can do premium calculation, Maturity value calculations, some policy servicing calculations etc. The Software is user friendly and have a good interface. Plans are given in the first screen itself and hence getting a plan quotation can be done very fast. One more exactly similar software in the name LIC all in one Calculator is available in the Google play store. As of now both these softwares are exactly similar and hence we can use any one of them. Plan quotation can be shared as SMS or through apps. Perfect Agent plus is a great software with large number of features inbuilt to it. This software is a great for policy servicing if fully developed. Poor support is the biggest problem of this software. Many of the features provided in the software were not working properly when I tested. Main Features Provided in the software. 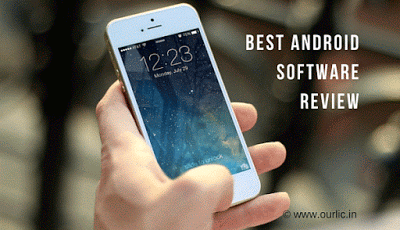 The features offered in the plan is great compared to other softwares but many features require fine tuning and bug fixing before naming it as an excellent software. MM PC by Datacomp Web technologies is one of the pioneers in the insurance software market. It was datacomp which made the first software for PC and mobile platforms. But sad thing is that they are not trying to improve the software as time passes. Being a paid software which requires a subscription fee also every year the features offered is under par compared to the competitors. For example even after so many years of introduction of New Jeevan Anand plan they are still unable to include Life Long coverage in the report. This software is available only through Magic App store which has to be downloaded from Datacomp Web site. Free Version not usable. Paid version costly. Useful software but with some bugs. Very basic App but usable for premium and maturity value calculation. Not worth installing as it is very basic. Review of the software is provided as it is available at the time of the review. Software can change with new updates.I will try to update the review if there is significant change later. Please feel free to write your opinions if any on the comment section. Please inform me if there is a software which I missed and is worth reviewing also. Download Premium and Benefit Calculator of LIC Policies. Health Insurance plan – Jeevan Arogya- Benefit calculator. Know all about income tax rules applicable to Insurance Policies. He is a finance, insurance and software consultant with more than 18 years of experience in these fields. He thoroughly follows developments in insurance and finance. 'Our LIC' (www.ourlic.in) is his endeavour to provide simple and solid solutions to internal and external customers of Life Insurance Corporation of India. Copyright © 2019 Our LIC. All rights reserved.